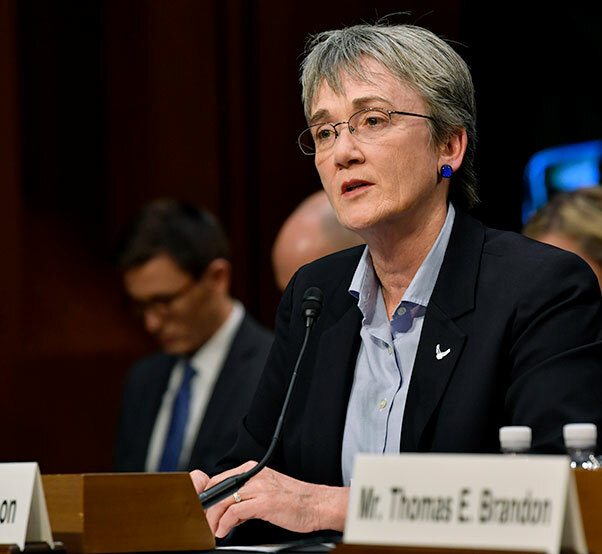 Secretary of the Air Force Heather Wilson testifies before the Senate Judiciary Committee in Washington, D.C., Dec 6, 2017. Upon a favorable final vote by the regents, Secretary of the Air Force Heather Wilson announced her resignation March 8, after serving in her position as the service’s top civilian since May 2017, to accept the role as president of the University of Texas at El Paso. Wilson will continue to serve as the 24th Secretary of the Air Force until May 2019. 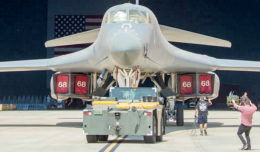 During her service, Wilson has been responsible for the affairs of the Department of the Air Force, including organizing, training and equipping and providing for the welfare of all active-duty, Guard, Reserve and civilian forces as well as their families. Moreover, she has been leading the way in improving the lethality and readiness of the Air Force. What was once 660,000 total force in 2017 is now 685,000 total force today – a 15 percent increase. She oversees the Air Force’s annual budget of more than $138 billion and directs strategy and policy development, risk management, weapons acquisition, technology investments and human resource management across a global enterprise. 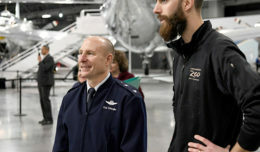 Prior to assuming the secretary of the Air Force position, Wilson was president of the South Dakota School of Mines and Technology, a member of the U.S. House of Representatives, a member of the National Security Council staff and also served in the private sector.